Managing 10 different public nature preserves is a lot for one little land trust. Luckily we have the support of dozens of dedicated volunteers. All volunteers should have a strong interest in nature and working outdoors. Being able to work independently and as a part of a team are also important skills for the volunteer land steward to possess. Good communication skills are key, and having previous experience with small hand tool operation is encouraged but not required. If you have any questions about Saratoga PLAN’s stewardship program, reach out to our Stewardship Coordinator, Greg, at: greg@SaratogaPLAN.org. 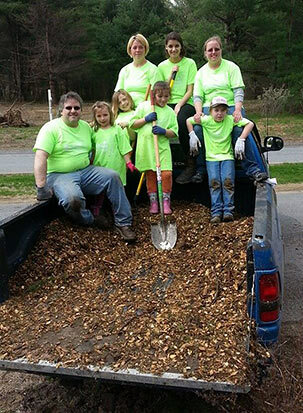 There’s no better way to get to know the Saratoga landscape while simultaneously supporting your local land trust than by becoming a volunteer land steward! 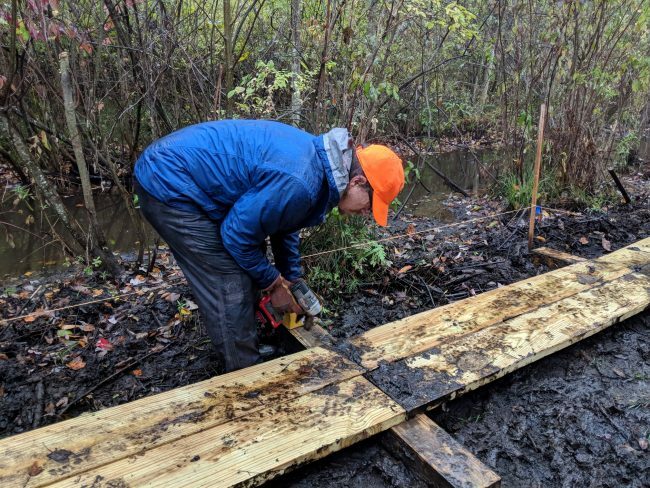 Our stewards work on Saratoga PLAN’s public nature preserves, ensuring that trails are cleared, parking areas are clean, and that any infrastructure, (water crossings, kiosks, benches, etc.) are all kept in good shape. The type and frequency of work that our stewards put in to our preserves varies between groups, properties, and interests. Your involvement can be as regular or as varied as your schedule and lifestyle permits. Let us know if you’re interested in getting involved with Saratoga PLAN and joining us as a volunteer land steward. We would be happy to match you with a preserve that could use some extra attention, a preserve that’s near and dear to your heart, or one that’s close to your home. If getting to know many preserves is something that you might be interested in, we always welcome additions to our Roving Stewards Group. Whereas many of our land stewards are dedicated to one particular PLAN preserve, this group of volunteers travels around to different preserves throughout the county depending on where the greatest needs are. I hope to see you in the field soon!